Easter, the time where it is fully acceptable to eat copious amounts of hot cross buns and chocolate. Montezuma’s have bought out an Easter range that include peanut butter mini eggs. Yes that’s right peanut butter mini eggs *extreme excited face*. 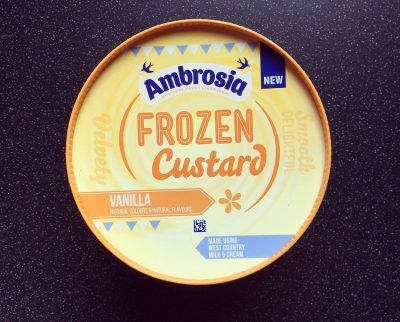 As we all know I do not need any encouragement to eat peanut butter and my little blogging compadres shared the fact Montezuma’s were doing such delights a few months ago but Ocado have been sold out ever since. #MissionPBminieggs was on and was further fuelled by the lovely Review Addict raving about these in her review here. After visiting the Montezuma’s store several times and even the staff not having a clue what I was referring to, of all the places I actually found these on Birchbox UK. Yes whilst perusing their beauty goodies there they were, and were promptly purchased. The packaging is super cute and certainly shows that these are well and truly part of their Easter range. The packaging it comes in is thick and far nicer than your average plastic bag that rustles and is of cheap quality. Each bag is 150g and priced at £3.99, which if you ask me is a bit off-putting at first glance. Opening up the packet and my god these mini eggs are anything but mini! There were 11 in the bag, a good number for the size of each one. Going in for the kill I popped a whole one in and oh my, peanut butter taste sensation! The milk chocolate is not as creamy as I thought it would be and has a more raw cocoa bite to it which I like. The soft centre is filled with a sizeable dollop of salted peanut butter. The peanut butter is smooth, peanutty with the perfect balance of saltiness. The fact Montezuma’s have used peanut paste rather than something artificial definitely reflects in the taste and puts these above the rest. 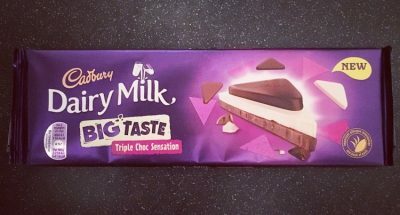 The bite of the milk chocolate and the creamy filled centre is just delightful and makes one mighty fine mini egg. Bravo! 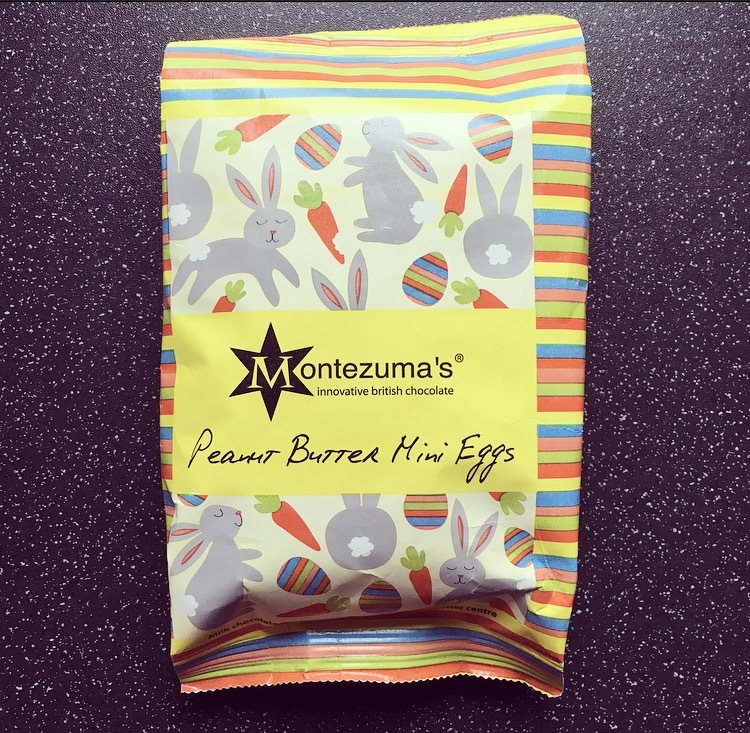 Montezuma’s Peanut Butter Mini Eggs are a thing of beauty and are a firm fave peanut butter filled goodie. 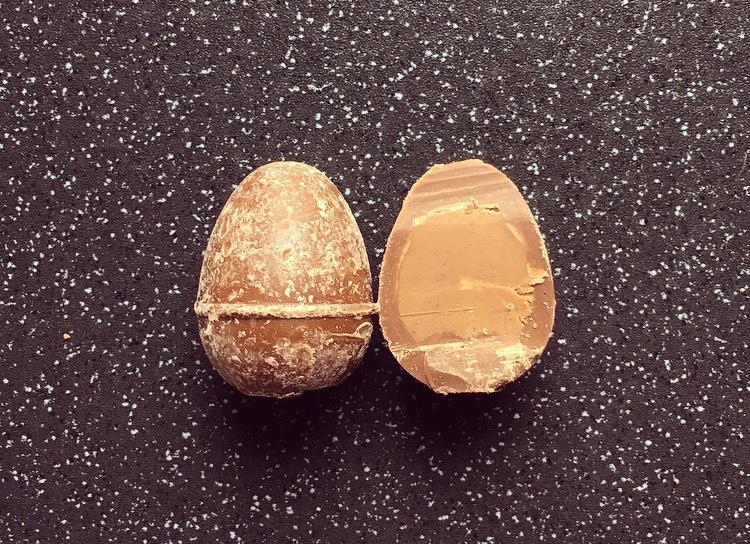 Montezuma’s also do a Peanut Butter Truffle which differs slightly in that it uses peanut paste and roasted peanuts, so I’m interested to see if these are as delicious, otherwise I am going to be mourning the loss of these Mini Eggs when Easter is over. These are amazing. I am also still in mourning! !